I've had a broken blogging week last week with a mini-getaway for the Australia day long weekend (I took the Friday off) up the Victorian alpine ranges and then work just got crazy when I got back this week. I still have a few articles in the skincare series I want to get through so this will the the second week of the series to wrap it all up. 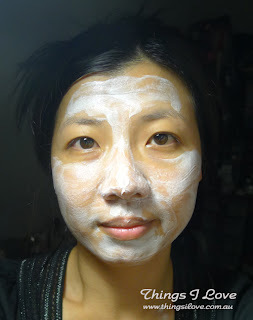 Today I want to introduce to you a facial mask I've been using over the past 2 months that I'm loving to bits. This is a glycolic infused clay mask that helps to not only absorb excess sebum from face, but the 15% buffered glycolic acid adds a little extra oomph to this otherwise fairly ordinary clay mask. 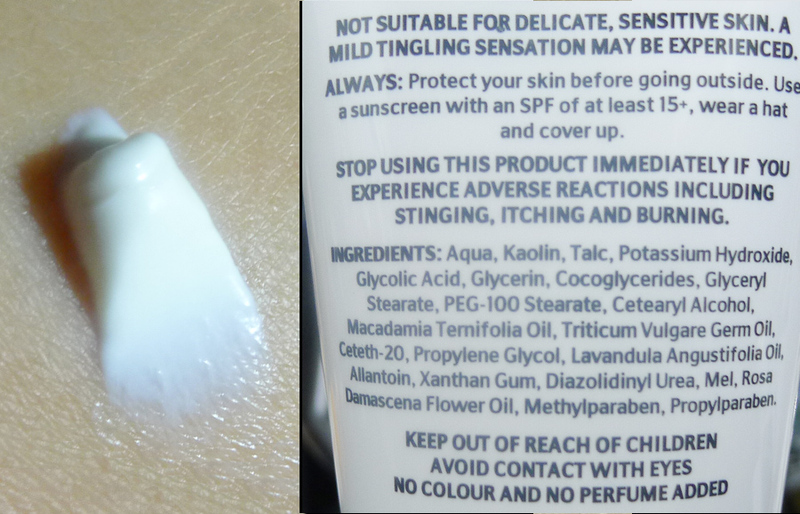 When put onto cleansed damp skin, I feel an initial tingling from it and knows it goes to work straight away. The instructions suggests to leave this on for 10 minutes but often I go over this time because I'm too busy watching TV shows and don't walk back into the bathroom to wash off till the next opportune ad. 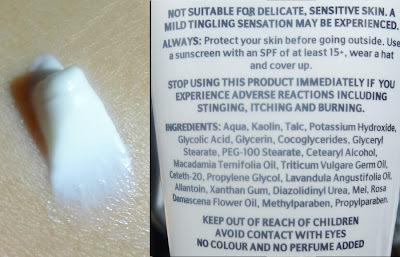 Never do I feel discomfort from leaving it on longer though and if you do as you may have more sensitised skin, wash it off when it gets too tingly/itchy. Another reason why I love this mask is because of the amazing lavender scent which is soothing and invigorating to the senses at the same time. Afterwards, skin is not only soft and smooth as expected but my flaky bits are also washed off easily and it helps to keep all those blackheads on my nose under control - hallelujah! I also noticed that weekly use also refined my pores on my cheeks and they are smaller, texture of skin is more even and I'm less oily during the day, despite it being full summer weather where I'm normally an oil-slick by midday, I now only have a light sheen. This and my daily glycolic cleanser use have really helped to refine my skin and change what was an oily yet dehydrated skin type to more of a normal-combination skin type. This is definitely a great achievement for me. I would recommend this to all skin types except for those with sensitive skins or on any open wounds (it may sting a bit if applied on popped pimples so avoid using the mask on those areas). 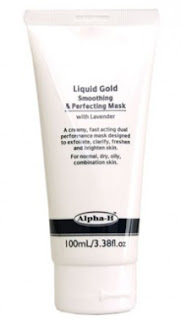 If you love glycolic acid cleansers and want extra skin refining benefits in your masks, then Alpha-H smoothing & Perfecting mask is a great addition to your skincare. In fact, because I don't want to be running out, I've already bought a back up tube after receiving a sample size tube of the product to try last year. RRP A$63 at selected salons, and cheaper online at AdoreBeauty (A$52.92) or the Facial Company (A$53.55). I bought mine from AdoreBeauty. P.S - buffering of AHA products makes it safer to use as there are less free acids particles in the products that could to too aggressive to skin. This stuff is liquid gold!!! I used it only once and I can feel a huge difference!! My skin is so soft and smooth! I can't believe how ice it is! So definitely my hg mask!! Glad you liked it Praveena but you used it twice! Remember you tried it out last weekend with me? So glad you listened and went and got a tube of this stuff as well.